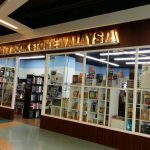 The price retails as 3 for RM5. We ordered that, as well as desserts to go with it because initially we had been walking for a while under the hot sun- but later it suddenly rained for a short while and the atmosphere felt much cooler. 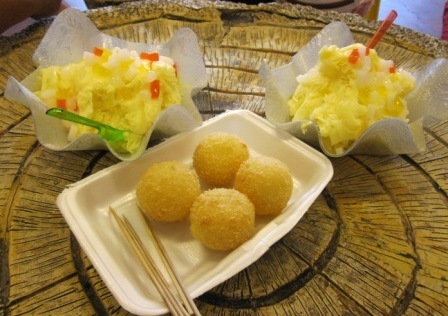 Here are the durian crispy roll and spring roll. 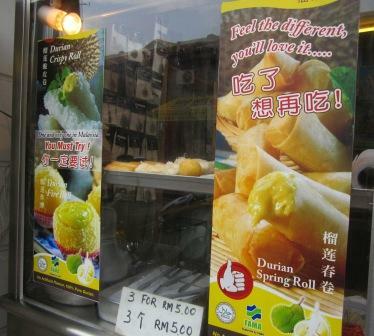 The owner said the spring roll has more durian in them- made using popiah skin. 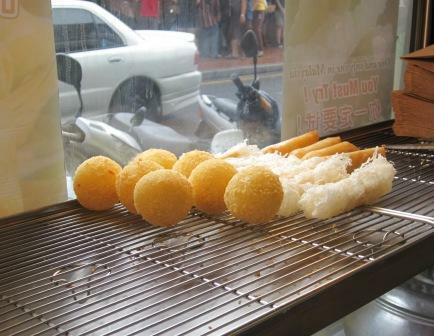 But I find the crispy roll more delicious- in which I packed about RM20 worth of crispy and spring roll back to KL. I recalled years ago a hotel served something similar with the price more than 10 times higher.